Add carrots and cook, stirring frequently, 4 minutes. Stir in ginger and sugar and cook, stirring, until sugar melts, about 2 minutes. 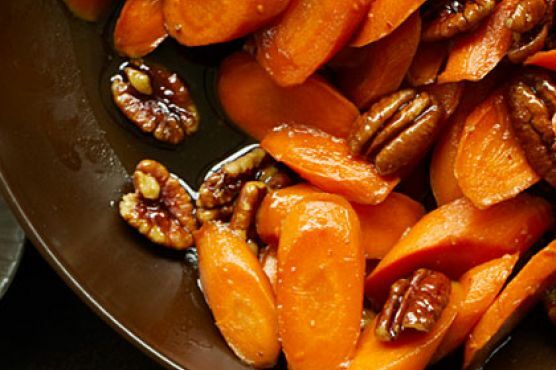 Add pecans and cook until carrots are tender when pierced and mixture is glazed in sugar, 3 to 5 minutes.